Hourglass Cosmetics was founded in 2004 when beauty industry veteran Carisa Janes saw a void in the beauty market. 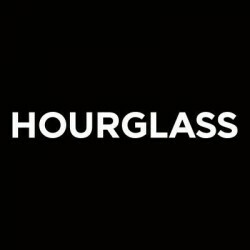 Founded with a commitment to reinventing luxury cosmetics, Hourglass has carved a niche for itself as an innovative beauty brand. Hourglass exists at the revolutionary intersection of science, beauty and luxury. The brand is acclaimed for its breakthrough formulations, technological innovations and unwavering commitment to reinvention. Complexion products are infused with the most groundbreaking active ingredients available to create unbelievably surreal skin. Distinguished by sensorial textures, modern color collections, and sleek custom packaging—Hourglass puts the art in state-of-the-art. Add an instant flash of light and unparalleled glow with this mesmerising highlighter stick, craft..
An all-in-one mascara that delivers endless length, intense volume and sky-high lift for extreme, dr..